As Rep. Allen West proved with his channeling of the late Sen. Joe McCarthy recently, the Red Scare echoes endure within American culture. 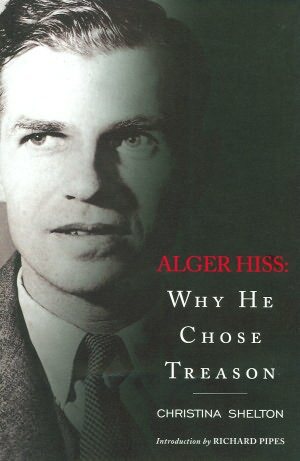 “Alger Hiss: Why He Chose Treason,” a new look at the Alger Hiss case, attempts to both examine Hiss through his actions and motivations and explore their relevance to contemporary politics. These ambitions are never realized and the reader who is sufficiently interested would perhaps be rewarded by seeking out previous, more substantial books on the subject. There are many. For those not familiar: in 1948 the former government official Alger Hiss was accused by self-proclaimed former Soviet spy Whittaker Chambers of secretly being a Communist while in federal service. The accusation led to congressional hearings, a defamation lawsuit brought against Chambers, and the eventual conviction of Hiss for perjury, resulting in three and a half years of imprisonment. Hiss maintained his innocence to his death. 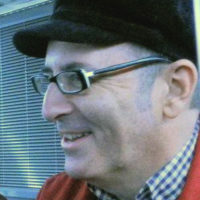 The whole drama was complicated and divisive, a perfect example of how harmful the Cold War could be to reputations and character. The facts continue to foster conflicting conclusions, and all these years later the interpersonal relationships that lie beneath all this remain puzzling. There are problems with any attempt to see the Hiss-Chambers affair through the prism of “treason.” This is sadly familiar Cold War territory https://www.peoplesworld.org/june-19-1953-the-murder-of-the-rosenbergs/. Author Christina Shelton is a veteran of the intelligence community, and she proves ill-suited to the task she sets for herself: repeatedly the narrative is brought down to the mechanics of espionage. From the perspective of many decades later, the Cold War period that emerged during and after the Second World War seems, above all else, an era contorted into odd shapes by the pressures of paranoia and subterfuge. It was a dark era that can’t be sufficiently appraised from within the shadowy crevices of Intelligence work. 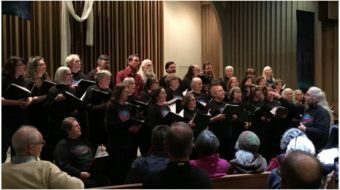 There’s also a problem of scale: the acts of a few individuals who may have transgressed (often through an act of principle) seem barely significant compared to the horrifying deeds of those in power, in the East and West, but especially the harm done by our own Cold Warriors, that are now common knowledge. Like most nightmares, the Cold War proves elastic and surreal. Were the years of suspicion and distortion the price the world might be expected to pay for ridding itself of the greater peril of fascism? Shelton’s book is burdened with conclusions and opinions that, if shaken off, might have allowed her the freedom to appraise the people and deeds with more novelty and curiosity. The book is allegedly about human beings, but there is no real feel for revealing hearts and minds. 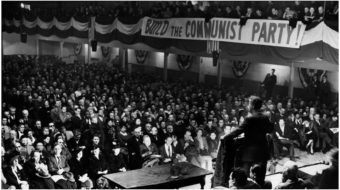 Aside from the many notations about who joined what and when and so on that is so familiar within the body of McCarthy era literature, there’s only a thin layer of regard for motivation or conviction. These stories always seem to conform to a conflict between patrician and respectable men of virtue who are really heels, or worse and a rumpled, humble, less attractive fellow who has a heart of gold or a superior intellect. It’s a Cold War fable probably best dramatized in the 1994 film “Quiz Show.” This dynamic is often the template fitted to the Hiss-Chambers affair, and it is again employed with much devotion here. Alger Hiss is treated to repeated assumptions that he wasn’t really all that much, and Whittaker Chambers is dealt with as a flawed figure of immense intellect. Both men and much else elude Shelton’s reach. 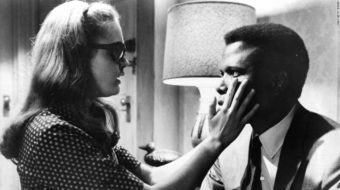 Hiss and Chambers are a compellingly odd couple, and one can’t help but suspect that the whole drama originates from their differences. You’ll gain no insights into this from this superficial tome. Even significant characters in this tale get little attention, such as Richard Nixon. It is possible to do this sort of thing well. Norman Mailer’s book on Lee Harvey Oswald (“Oswald’s Tale: An American Mystery”) is the best example that I personally have encountered. Certainly far more talent and rigor was employed in Mailer’s book. The opportunity in attempting to revisit an event or period so well-examined is that there may yet be a revelation uncovered. But halfway through this dreary book the reader hits a wall of shrill but shallow political rhetoric that renders the whole work largely irrelevant. Important distinctions and chronology are blurred. There’s a sad attempt to recast fascism as a leftist philosophy. Once we have seen the agenda laid bare the book never recovers. This isn’t deep stuff, it’s more Beck than Buckley. Much like Rep. West’s recent declarations, this is merely a case of a conservative ideologue climbing upon a block of history to gain notice.